In preparation for the 4th New Libya Oil & Gas Forum, IRN has been in regular talks with the Libyan NOC. During the last discussion, NOC stakeholders informed IRN that there are more than a 1000 contracts within the oil and gas sector in Libya, and they will be looking to meet investors and service providers for upstream and downstream projects at the Forum. Over the years, opportunities and long term prospects in the Libyan oil and gas industry have proven to be fruitful for companies that chose to support the country in good and bad times, today is not an exception. There are currently seven sectors in the country presenting significant business opportunities that will be addressed at the upcoming Forum on 19-21st October in a 5* London venue by the key decision makers of the Libyan National Oil Corporation and country Operators. The fourth annual edition of the forum is once again held under the official support of the Libyan National Oil Corporation (NOC) and will be opened by the Chairman of the NOC, Mustafa Sanallah. Being a technical entity that operates for the benefit of the country, the NOC will hold an open dialogue with the delegation of the Forum addressing the current situation in Libya, with the aim to provide a comprehensive analysis and facilitate new ideas for efficient development. On the second day of the Forum, the NOC will also hold an award ceremony for the companies that have benefited most Libya’s oil and gas industry. 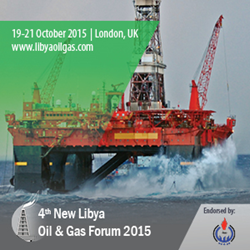 More information about the Forum is available on the website: http://www.libyaoilgas.com and released bimonthly in the Forum’s newsletter to which someone can subscribe here.